Recently we have introduced a formal graph-based data model for DNA complexes geared towards database applications. The model is accompanied by the programming language DNAQL for querying databases in DNA. Due to natural restrictions on the implementability and termination of operations on DNA, programs in DNAQL are not always well defined on all possible inputs. Indeed, a problem left open by our previous work has been to devise a type system for DNAQL, with a soundness property to the effect that well-typed programs are well defined on all inputs adhering to given input types. The contribution of the present paper is to propose such a type system and to establish soundness. 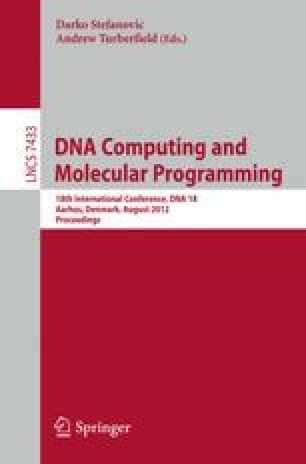 Moreover, we show that the type system is flexible enough so that any database manipulation expressible in the relational algebra is also expressible in DNAQL in a well-typed manner.